Get into the smart home game by turning your dumb appliances smart with this WiFi plug for a dirt cheap price of just $9.99. One of our favorite changes in technology over the last couple of years has been how easy it is to get into smart home devices without having to either spend a small fortune or have some sort of advanced computing degree. The arrival of support for things like Amazon’s Alexa, Google Assistant and HomeKit has made controlling devices easier than ever, and some manufacturers are doing a great job of driving down the prices of accessories. One of the companies at the front of that is iClever, a company that we’ve featured a few times here. We’re going to do the same today, with the iClever WiFi Smart Plug currently on offer for a price that you just won’t want to miss. Before we get into the deal itself, why would you want a smart plug in the first place? Well, smart plugs are amazing at taking otherwise dumb devices and giving them a new lease of life. If you have a boring old lamp and want to be able to turn it on or off remotely, a smart plug is a great way of doing that rather than spending more on new bulbs, hubs and whatever else is needed to make everything play nicely. Smart plugs do away with that and turn anything from lamps to TVs to coffee makers into smart appliances, and they can be had at great prices. The iClever WiFi Smart Plug is a prime example. 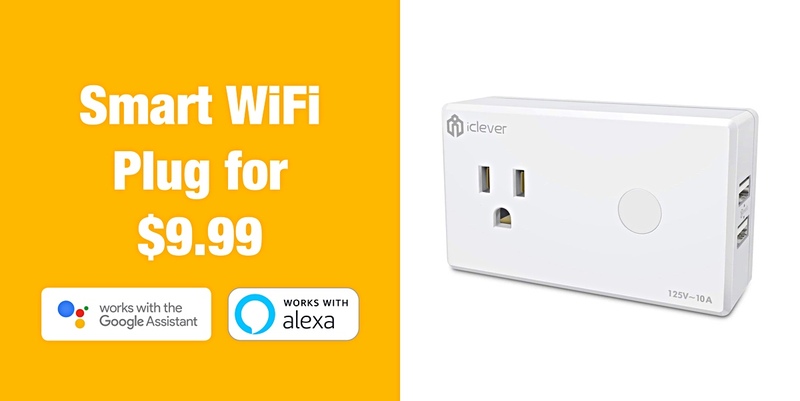 Normally priced at $19.99, the iClever WiFi Smart Plug can be picked up through the end of October for just $9.99 – that’s half off! 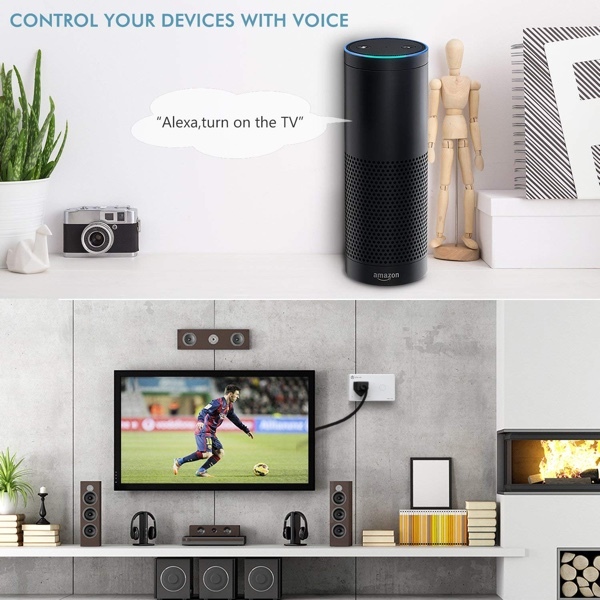 The plug supports both Amazon’s Alexa and Google Assistant, and you can download a free iOS or Android app if you’d prefer to control things with the tap of a button rather than your voice. What’s not to like? “The promotional code you entered is not valid.” according to amazon…. it does NOT work with HomeKit. This item also gets an “F” rating on fakespot.